The ‘daughter” meets Arnold Schwarzenegger after 28 years: Arnold acted as the main character in blockbuster ” Commando” in 1985. Alyssa Milano plays the role of a daughter ” as Jennie Matrix” in the film. She was only 12 years old then. After a few years, Alyssa becomes a celebrity. 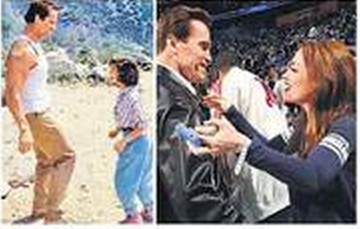 A few days earlier Alyssa met Arnold in a sports event and became very emotional. They had met after a gap of 28 years. Their photo below has become the most shared one these days. Alyssa is a film producer now days. Recently American singer, composer, writer, and fashion designer Pharrell Williams released an album ‘Girl’ dedicated to Marlin Munro. One of the songs was uploaded on the YouTube on 23rd April and became an instant hit with a 3.95million views within 48 hours, This song is popular on iTunes and Amazon, as well. Imogen Jennifer is an English singer-songwriter and composer has adopted such gloves through which can change the music track during her performance without touching the computer. Not only the track change can be done but can also execute any correction required. The hardware and the software within the gloves are equivalent to a mini device. 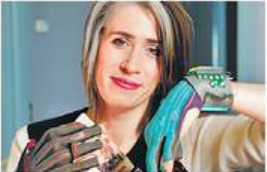 Imogen’s musical innovative gloves are hot on Video sharing site VIMEO. 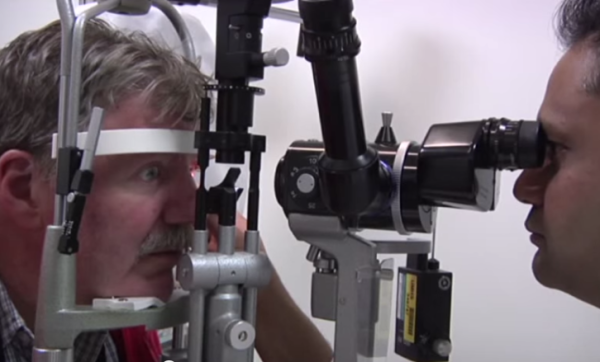 Roger Pontz’s of Michigan, USA finally lost eyesight after suffering from degenerative eye trouble for a long time. He decided to go for Bionic eye after due consideration. He happens to be the first American to have this transplantation and is grateful for the new technique and again see dear wife, grandson and family pet.